Did you know that there is a specific kind of golf ball designed for the way you play and your skill level? Most people who buy golfing equipment focus on the clubs they use but fail to put much thought into the golf balls, thinking that most golf balls are pretty much the same. That’s not true, though, and we want to show you how you can find the right golf balls for you and the way you play. We’d like to show you a few of the best golf balls for mid-handicappers, now, and hopefully one of them will be just what you need. Let’s start out with one of the pricier options, as these retail for $40-$50 for a dozen. You’re paying for quality, though, and these balls will last for a while. They are incredibly stable in any environmental conditions and they perform very well. These are considered some of the best golf balls you can buy, no matter what your handicap or price range. Made to be very durable. 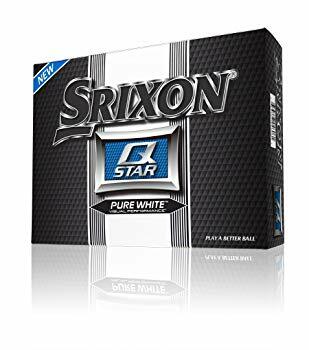 There considerably cheaper balls from Srixon are ideal for green side spin and are giving you a lot of value for your money. They perform well in most conditions, and though they may not be the most durable balls you can get, they will hold up long enough to give you what you paid for. They are aerodynamic and will fly straight and true in most conditions. They extra spin they offer ensures that they fly far in most instances, which makes them ideal for people with a slow swing speed. Great spin in most environments. Plenty of value for the price. May offer too much spin for some people. 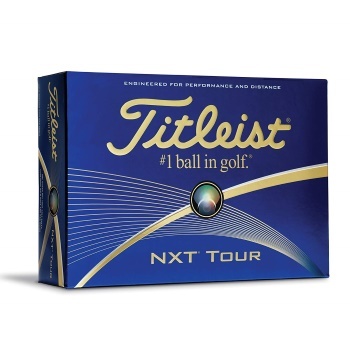 This is another economically priced set of golf balls, and they are great for straightening out your hits. 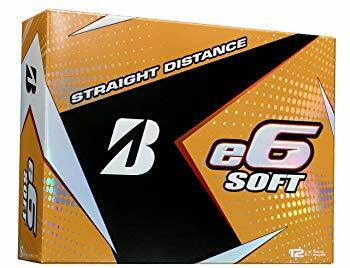 If you tend to veer one way or another when you hit or send your balls flying off into the rough, then give these a try and see if they don’t improve your game slightly. The soft covers ensure that they go far and respond to your swing speed with a lot of distance. The soft cover has a slight disadvantage, though. It will mark up very easily, so your balls aren’t going to look new for long, but they should still play very well regardless. Like most of the balls on this list, these are priced affordably, so even if you misplace a few with some stray hits, it should not matter very much. These are excellent for short games, but they also offer some decent distance. More than distance, though, they offer a straight shot that will fly true for you. The low spin on these may not be suitable for everyone, but it is ideal for lower mid-handicappers. Helps you perform straighter shots. Low spin may not be for everyone. 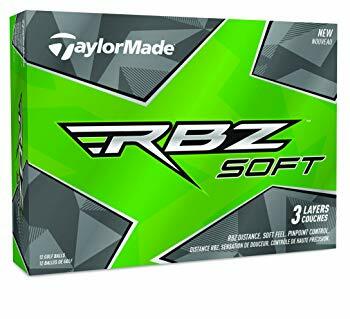 We think mid-handicappers should go for cheaper priced balls in most cases, and these from TaylorMade certainly fit the bill. These are decent quality balls that offer three layers and decent spin. The soft cover gives you some excellent distance and good control, so even professional players can get some use out of these. If you are looking for something cheap and disposable that still performs well, then this is for you. Just be warned that the soft cover is probably going to mark up quickly. Performs quite well for the price point. Works well for just about any handicap level. Soft cover gives you great distance. Soft design means that it will mark quickly. The ball you use has an impact on your game. How far the ball travels when you hit it, how straight it flies, how well it does in adverse weather and how much control you have over the ball all come back to the kind of ball you choose. We want you choose the right one for your needs, because there is a difference between the golf balls on the shelves of the pro shop near you. Using the right balls means that you are less likely to lose golf balls. According to a report from CNN, around 300 million golf balls are lost every year in the United States alone. You don’t want yours to be among them, so you should be using an appropriate ball so that your swings send the ball where it is supposed to go. The difference they make on your game can be incredible. You might not even know there is a difference until you try a few different balls, but if you go from using a ball that isn’t made for you to one that fits your handicap perfectly, you will see your game improve. That’s what we want for you, and we have given you a list of things to look for and common mistakes to avoid when buying mid-handicapper balls. That information should equip you to make an informed decision. Ball Covers– The kind of cover your ball has determines a lot about its speed, distance and stability. American Golf recommends that you invest in 3-layer ionomer-covered balls because they can reduce slicing and mis-hits for those who have slow to medium swing speed. Most mid-handicappers fall into that classification, so you should consider buying this kind of ball to improve your game. The Price– You need to know your strengths and weaknesses and be realistic about how well or how poorly you play. If you tend to miss a lot of hits and send balls flying into the wild with no hope of recovering them, then you don’t want to buy expensive balls. Yes, you want a quality product, but you also want balls that you can afford to lose, if you tend to hit wild fairly often. The Right Spin– You don’t want a ball with too much spin on it or too little. The spin can affect the durability of the ball, says LostGolfBalls.com, and you’ll want to take that into consideration as you shop for the best golf balls for mid-handicappers. Experiment with the spin until you find something that works well for you, but as a mid-handicapper, you can err on the side of more spin and try to get some extra distance out of your hits. 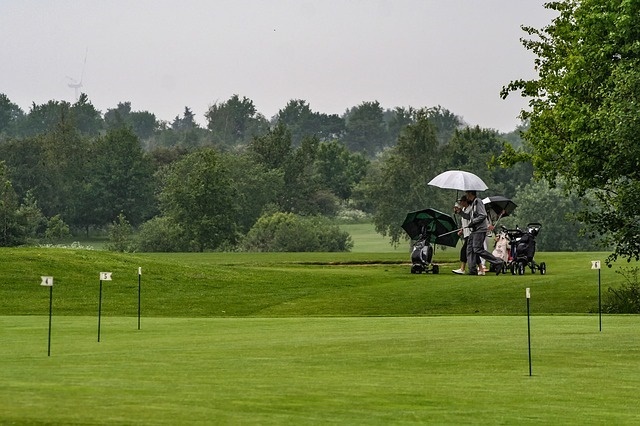 Weather Resistance– How well will your ball fly during bad weather? Will strong winds knock it off its course? Look for a ball with stability to ensure that even when you are playing in adverse weather conditions, it can still fly straight. 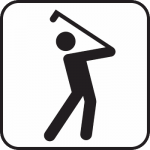 Not Factoring Swing Speed– The speed at which you hit the ball makes a big difference on what kind of ball you should use. Softer balls work well for those who have a low swing speed, while harder balls are better for people with a high swing speed. If you don’t factor in your swing speed when you choose a ball, then you will end up hitting the balls too far or too short consistently. 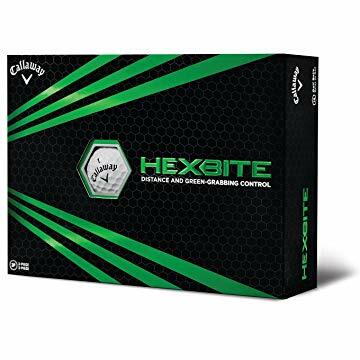 Overestimating Your Skill– You might find the professional grade golf balls attractive, but you have to know what your limits are. If you use pro equipment, says Shooting 90, and you are not at a professional level, then you can hamper your performance. You need to choose a ball that suits your skill level. The difference between pro and amateur balls are generally minimal and mostly come down to the kind of materials used and who long the balls last, but your game will be affected, and even slight changes in your game will make a difference. Inconsistency– If you play all kinds of different balls and play balls for different skill levels, you won’t really know how well each ball is working for you. Not settling on a ball for a while and seeing how it affects your game means that you won’t know what ball to use and what your strengths and weaknesses are. Be consistent and use the same ball for a while before you decide to change, and that way you will have a better idea of what aspects of your game you need to change and what kind of ball you should be shopping for. Buying Poorly made Balls– Not all golf balls are made with performance in mind. Some manufacturers make their balls as cheap as they can with little thought for how well they will perform. You should only buy yours from trusted suppliers and proven brands. That way, you know what you are getting and are less likely to end up with a ball that can’t perform or that will fall apart after a few uses. You’ve seen our picks for the best golf balls for mind-handicappers, and you have seen all our tips for how to pick the right golf balls. You should be equipped now to find the most suitable balls for your needs with this in-depth guide. 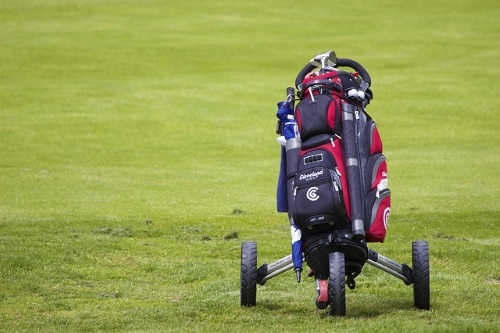 Once you’ve picked out the right balls, be sure to check out our other guides for the many other pieces of golfing equipment you will need.